PennLinks II provides an excellent playing surface for greens, tees, and fairways. It has a medium dark green coloration, with semi-fine erect growth habit and semi-aggressiveness. Density has been increased with improved disease resistance to dollar spot. 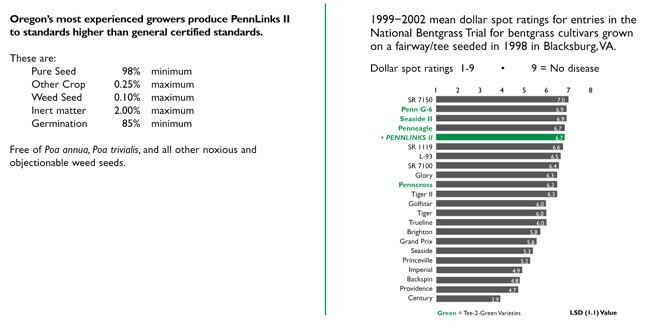 PennLinks II still has the same good heat and drought tolerance as the original. 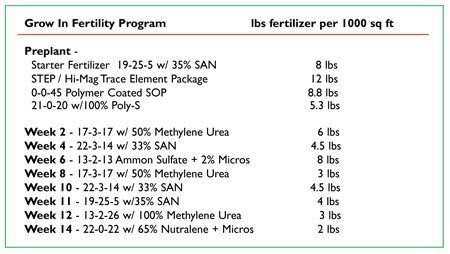 Recommended seeding rate is 1.5 lbs/1,000 sq ft for new planting and 0.1 to 0.25 lbs/1,000 sq ft for interseeding. These are basic guidelines, which should be adjusted to location conditions or requirements.